Geranium tea does not only have a good smell or taste, it is also known for its unbelievable health benefits. Its species that is known to be safe for consumption is Geranium pelargonium, also called the rose-scented geranium. This evergreen perennial plant is being used as a popular garden plant and a medicinal herb. Its potency as a herbal medicine has been known for ages. Geranium pelargonium can be consumed in forms of pleasant tasting tea. Having a little hint of rose, the plant is brewed with its leaves which has lots of medicinal elements in traditional medicine. Let me show you some of the health benefits as you read on. Geranium have a great effect on the nervous system of humans which is widely known for generations. Be it in the form of tasty tea, its soothing properties can be achieved by brewing its leaves. It has an organic compound which is helpful in balancing stress and anxiety-causing hormones. It also have a positive effect on the endocrine system. Another common use of geranium tea is to relieve inflammation in the human body. Its potency makes it useful in soothing aching muscles, sore joints or even any kind of internal inflammation of the cardiovascular system. Geranium also reduces strain and discomfort on sensitive areas of your body. Geranium essential oil has an analgesic properties which is quite similar to its anti-inflammatory properties. This has made it a widely accepted cure for injuries and headaches. The tea releases endorphins which helps to relieve chronic pain or migraine. Geranium tea has being a wonderful cold and flu reliever as it is infused with natural antiseptic, antifungal, and antibacterial properties. The tea can help your body flush out antibacterial compounds and also help promote quick recovery from a number of ailments. The overall act boost the strength of your immune system. 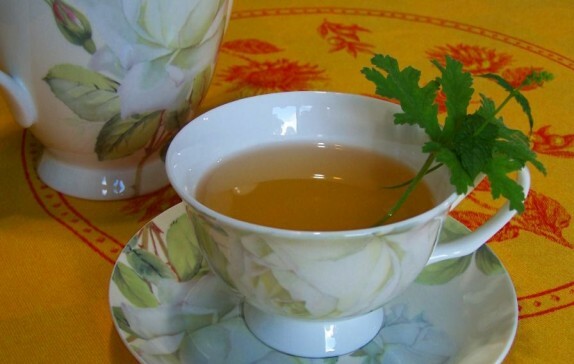 If you are suffering from bloating, stomach upset or cramps, drinking a cup of geranium tea can be very helpful. The tea is easy and painless on your digestive system. After drinking the tea, your gastrointestinal system gets back to normal as the organic compounds present in geranium helps in soothing inflammation quickly, and eliminates the discomfort-causing bacteria. These are some of the surprising health benefits of geranium tea, and maybe a more reason you should be drinking this tea from now on.